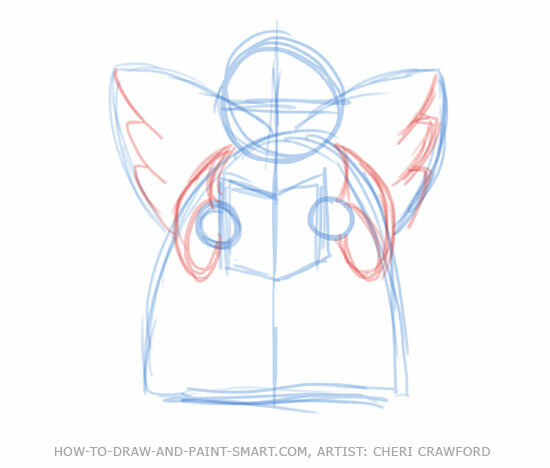 Draw Angel Wings like Art Masters. Detail of "An angel comforting Jesus"
Detail of "Song of the Angels"
See these Angel Drawing and Painting pictures at Wikipedia. 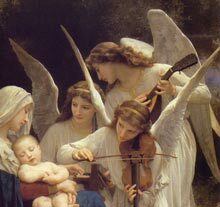 Angels are an integral part of our culture as components of Divinely inspired documents passed down to us by our predecessors over the millennia. 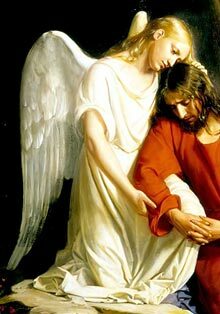 Even today, many will profess to the healing presence of angels in their lives. 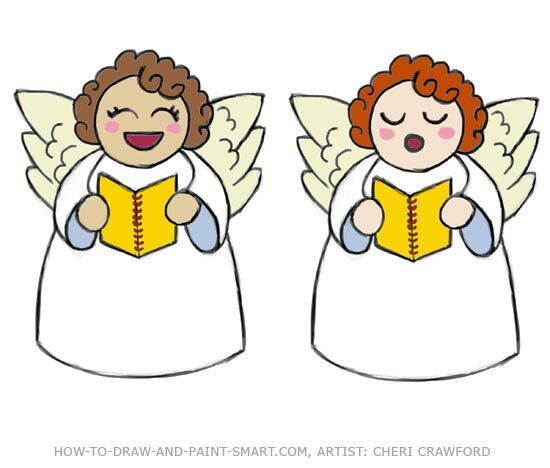 This cherubic angel drawing would fit right in with a heavenly choir! 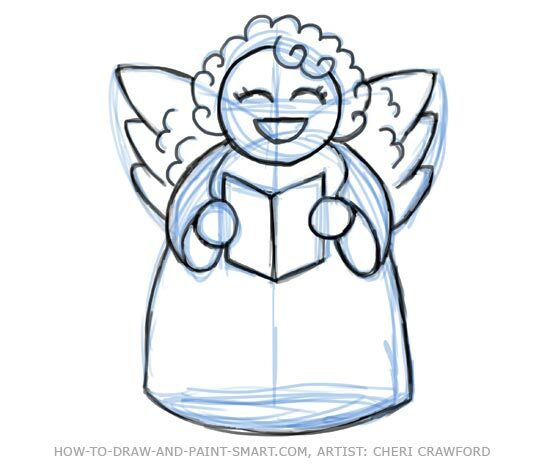 This Basic Angel Design is a good start for beginners because you will be incorporating symmetry within your framework and basic shapes to establish believable forms. 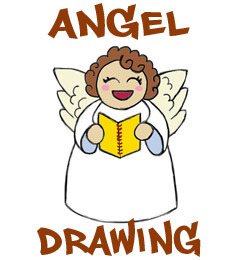 Now let's get started with the "Angel Drawing"
Drawing by Drawing drawing tutorial. 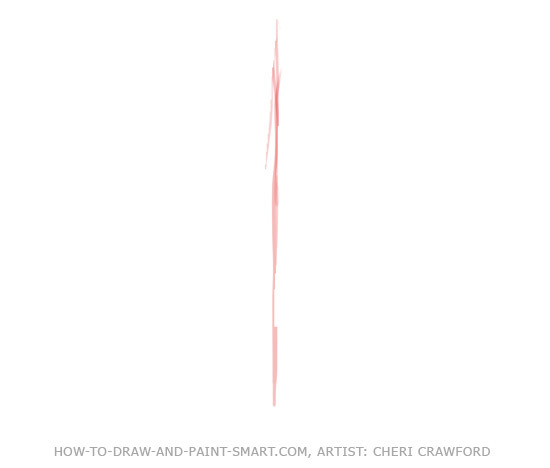 Draw a single, vertical Gesture Line. 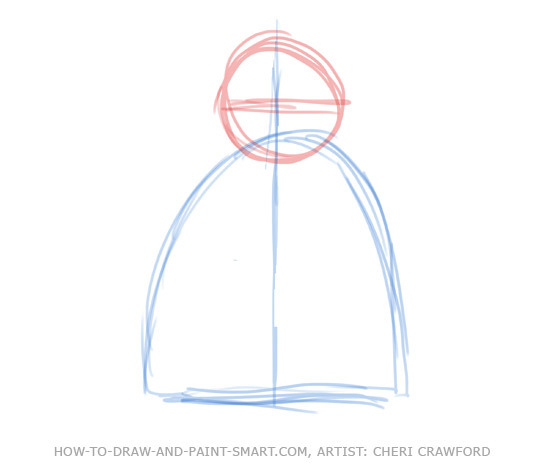 Draw a Circle for Head Shape, centered on gesture Line. 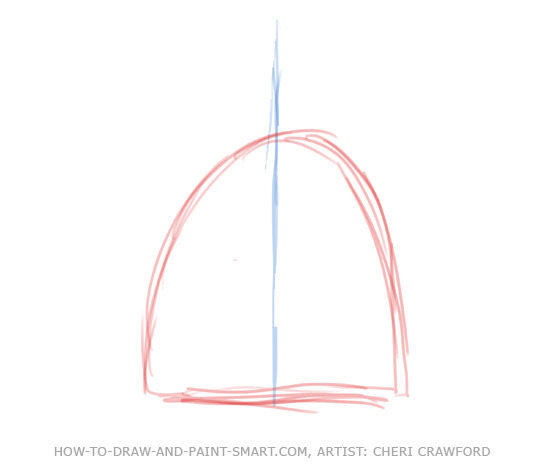 Draw a line horizontally through the center of the circle. This will be used to align the facial components later. Using the gesture line as the spine for the songbook, draw two parallelograms that mirror each other. Then, draw two small circles for hand shapes. 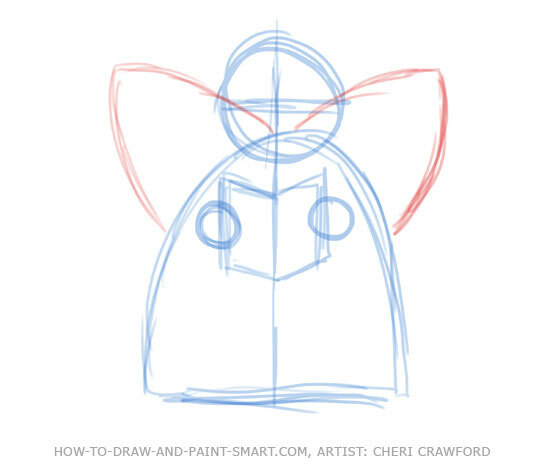 Draw Two Wing Shapes, using the gesture line as a base to start from. 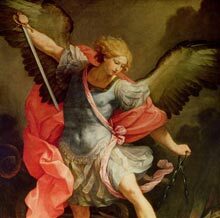 Next draw in the arm sleeves and Wing feathers. 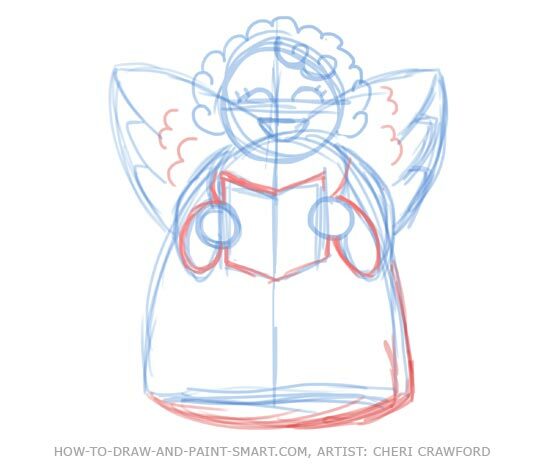 Here you can see the overlapping lines create a sense of form and depth, which will help make the angel look more believable. It's time to draw in the face! 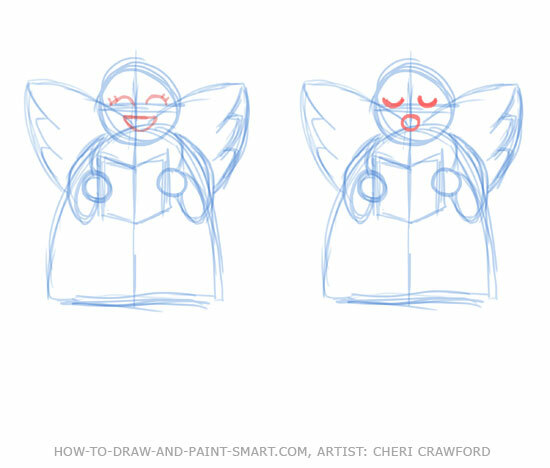 Using the gesture line and the head shape's horizontal line for proper alignment of the features, draw semicircle lines for the eyes, and for the mouth a crescent shape. You can add eyelashes like I have if you choose. You can also make a more solemn face, just flip the semicircle eye lines upside down and use a circle for the mouth instead of a crescent. Everything is in place, so it's time to put in little details such as additional wing feathers and going over any incomplete lines. Your line clean up work might not look exactly like mine, which is perfectly okay. Now comes the fun part! 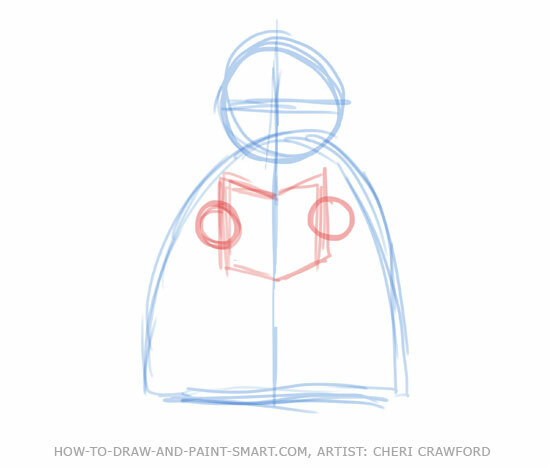 When you've finalized your lines, you can go in and outline what you want your finished piece to look like. 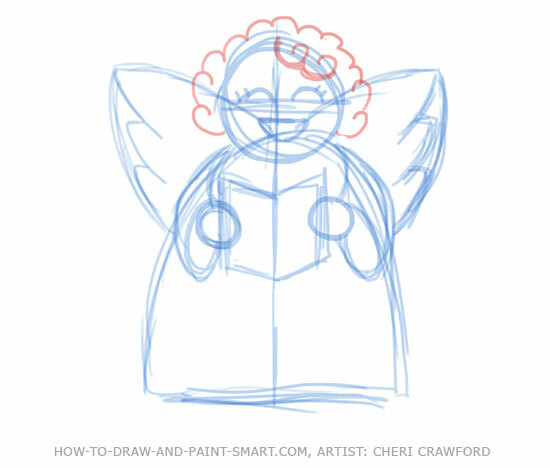 After you are satisfied with the finalized outline, it is time to erase your pencil work (add color if you choose) and admire your finished Angel! 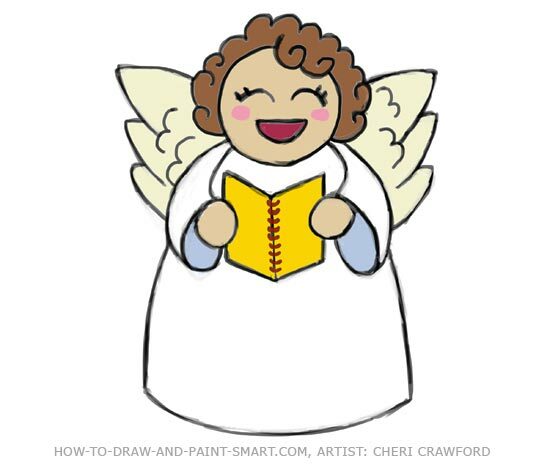 Paint your Angel's face wings and hair with markers, colored, pencil or crayons. You can use watercolor and other kinds of paint too. Here are our two angels side-by-side. 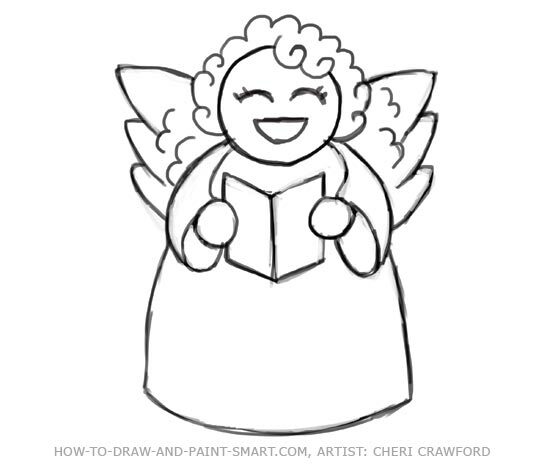 More lessons like Angel Drawing on the How to Draw People page.